An interactive lighting installation inspired by bioluminescence. 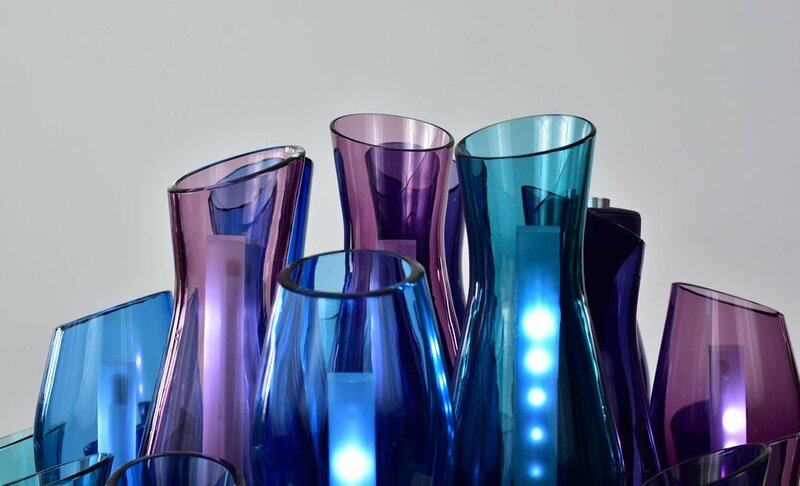 The project was inspired by bioluminescence: the living light produced or emitted by some organisms. 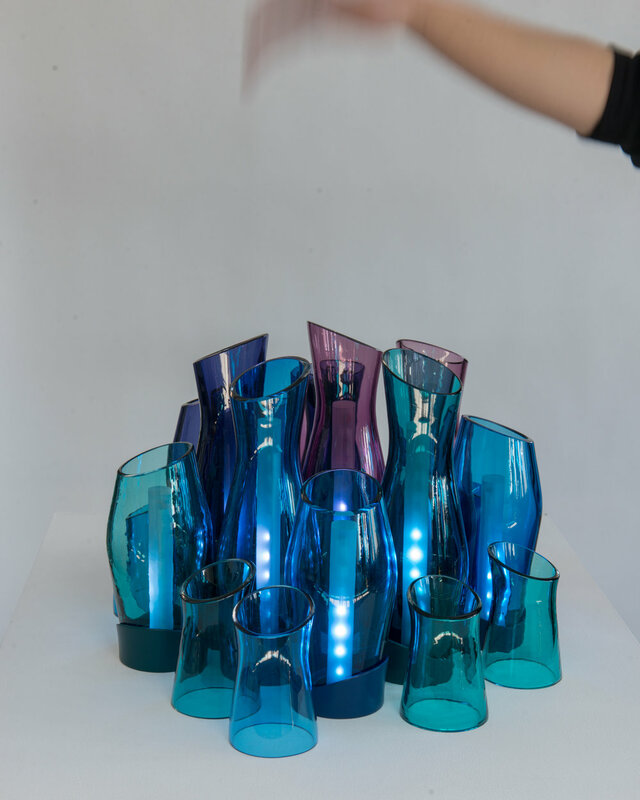 The idea was to create a small, dreamy environment, a mysterious enchanted world of blown glass pieces, somehow responsive to the viewers, just like a glowing living creature. Luce Viva is a ‘living light’ that rises and falls hypnotically inside blown glass forms, controlled by the movement of the hand. 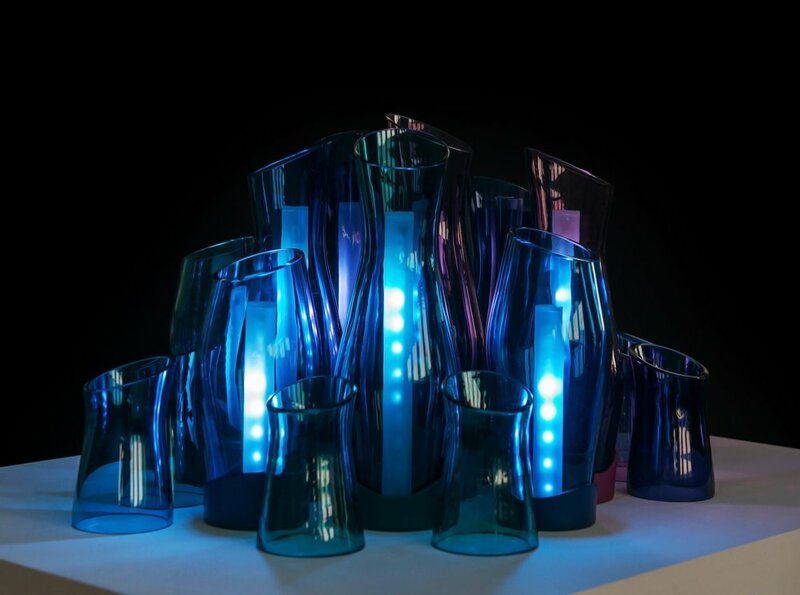 The LED strips inside the pieces react to movement, allowing light to be controlled by the movement of a hand. Lights can rise along the strips only to a certain height, before falling back inside the glass pieces - a glowing living creature, unable to escape from its cage. For videos of Luce Viva visit my Instagram page or my blog on Tumblr.